Third Thursday on Main is the perfect place to get your “pre-weekend” on! 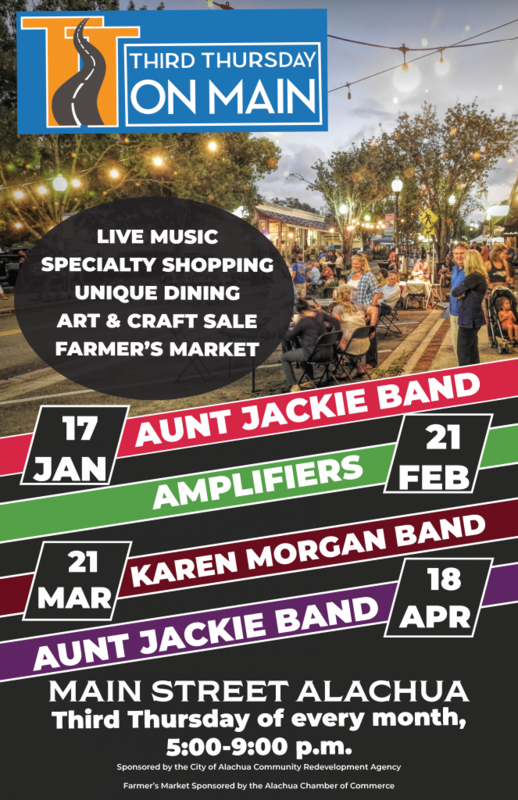 Every third Thursday of each month Alachua’s Downtown area comes alive with the sound of music, unique dining and shopping, and so much more! For more info click here.